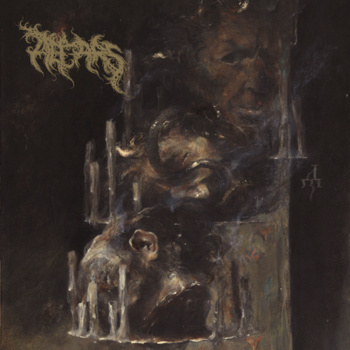 Altars create a vitriolic sort of Death Metal, convolved and disturbed, reminiscent of some of their Australian counterparts. Born in Adelaide, Australia – and now split across two of it’s capital cities with members residing in Melbourne; Altars create a vitriolic sort of Death Metal, convolved and disturbed, reminiscent of some of their Australian counterparts. Their debut album is curated by the minds of Cale Schmidt, Lewis Fischer and Alan Cadman; in which this three piece delivers a sophisticated, suffocating, and almost supernatural sound. Cadman’s drums are intense & frenetic, drifting to and nether the deepest recesses of Paramnesia. Schmidt’s bass work is aggressive and plundering, whilst his vocals are claustrophobic and caustic, perhaps best describing Fischer’s guitar work in lyrical form, “Nebulous invasive filth,” (Husk). Whilst the band says “words seem almost antithetic to music… they are different languages sharing very little relativity,” the words of Schmidt summarise this album indefinitely; the nebulous throb of the guitar spins a dense atmosphere, conjoining and grafting each cymbal, each snare, each rumble and every last gasping vocal into a disorienting soliloquy of the bands visions. It should be made clear, whilst Altars wears it’s Death Metal roots on it’s sleeve, this album is anything but. The bleak void in which it consumes is unashamedly, “just what it is. It’s what we create, sometimes with no thought, only impulsive reactions, other times with conscious planning to get the most accurate feeling we wish to produce,” says Schmidt.